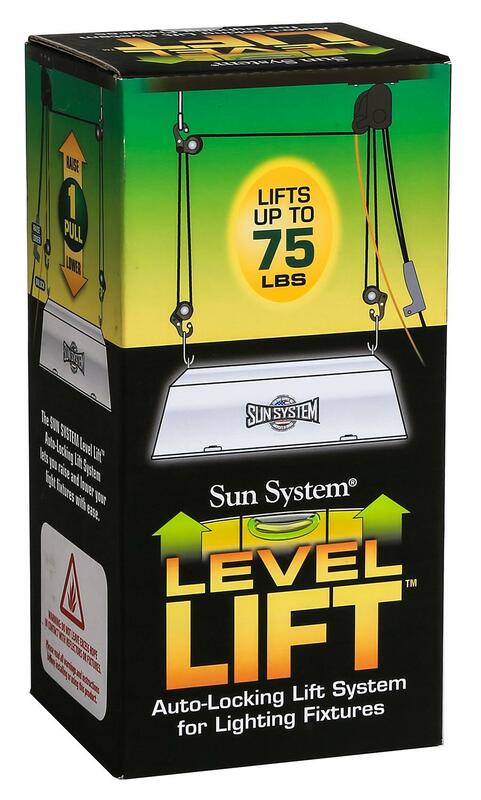 Level Lift™ Light Hanger gives you the ability to raise and lower your reflector or light fixture from one location. 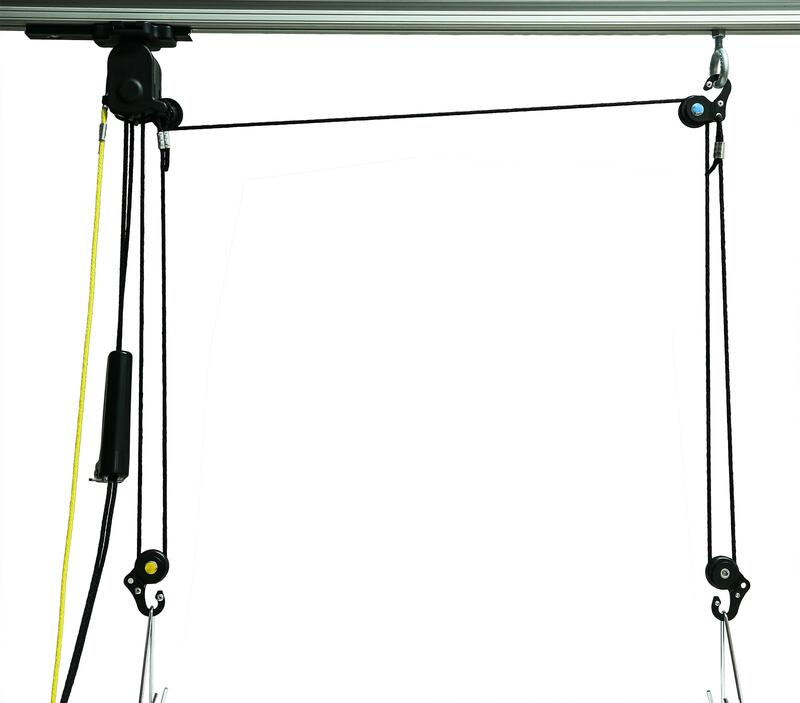 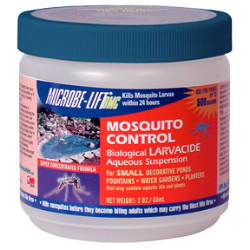 It uses two mounting points and a pulley system to secure your reflector and achieve a level position. 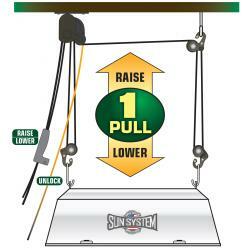 Pull the dual lifting cords to raise the hood and pull the release cord to lower your reflector. 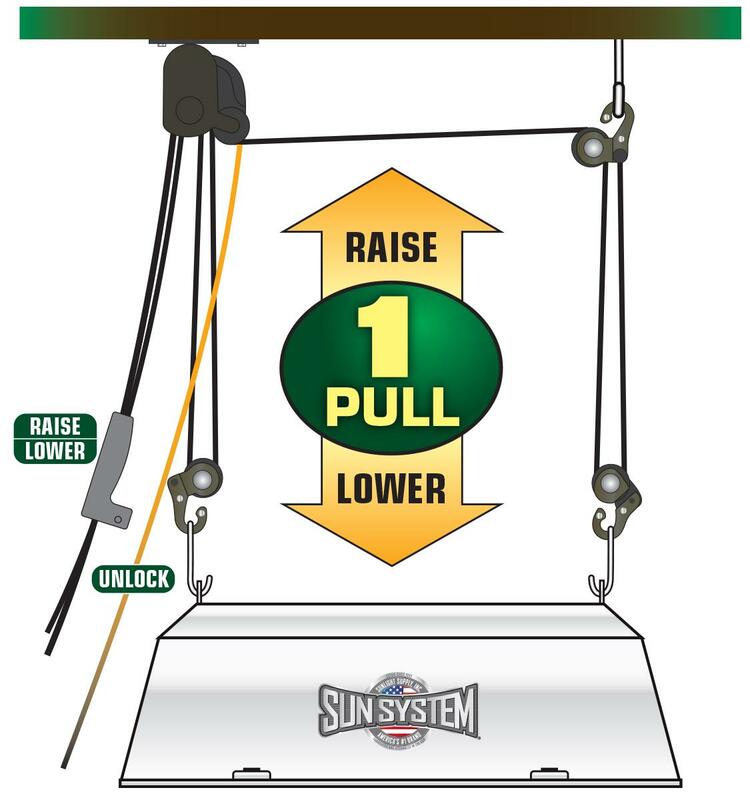 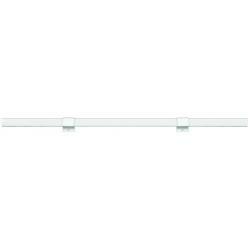 Level Lift™ Light Hanger, one pull, one release, it's that simple. 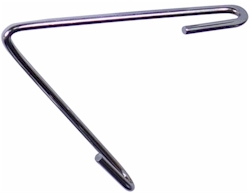 This is a universal replacement "V" hanging hook for Sun System Reflectors, New Waves, Tek-Lights, Ready Fits, Spectra Maxs, etc.